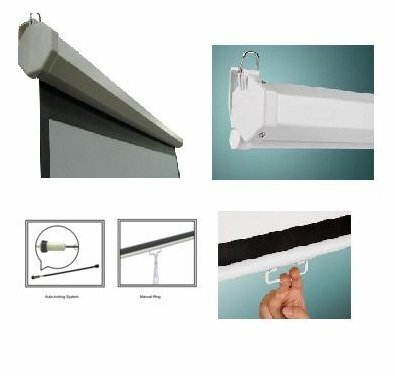 If you are looking for a good quality Self lock screen that can be operated manually then our manual self-lock projection is just perfect for you. This self-lock screen has got the entire feature that you might be looking for. Electric mechanism of this screen is so smooth and quite that you would love to operate it, without getting distracted and disturbed. 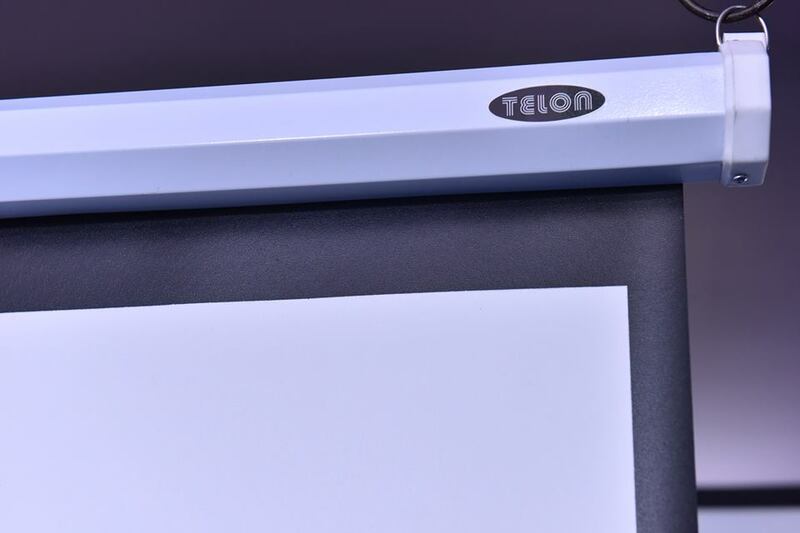 It immediately stops pulling and the screen is super smooth and highly extending. Size of the screen is just perfect for screening of films that you would love to watch with your family. We have multiple size options and our manual self-lock screens are available in various sizes and dimensions e.g. 4: 3 (60 / 72 / 86"), 1: 1 (67 / 80 / 96"), 16: 9 (54 / 65/ 77). Our manual self-lock screens comes with lots of great feature like you can pull or extend it very conveniently to fit it on any interval and get variety of projection formats. You can install and operate our manual self-lock screens quite conveniently and easily. It is designed in such a way that you can mount it on the wall or on ceiling. 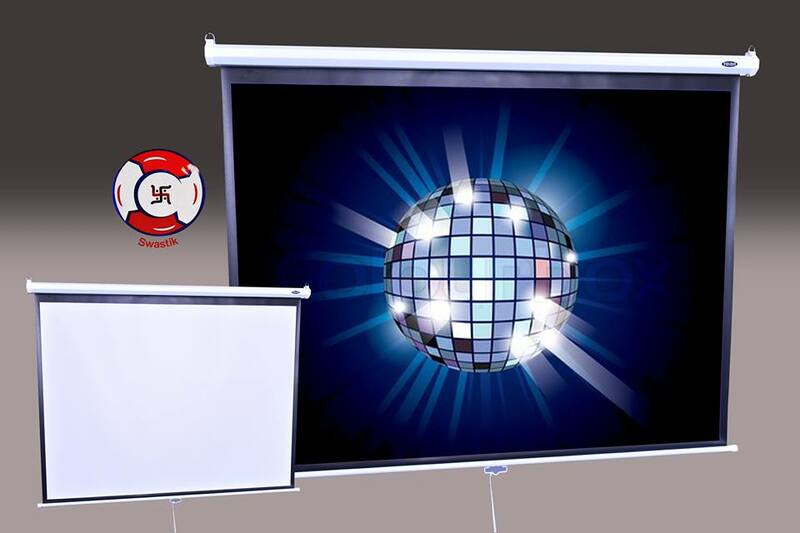 Manual self-lock projections are very attractive and it looks just perfect and gives and aesthetic feel to the room where you mount it. It can be mounted on wall and ceilings. 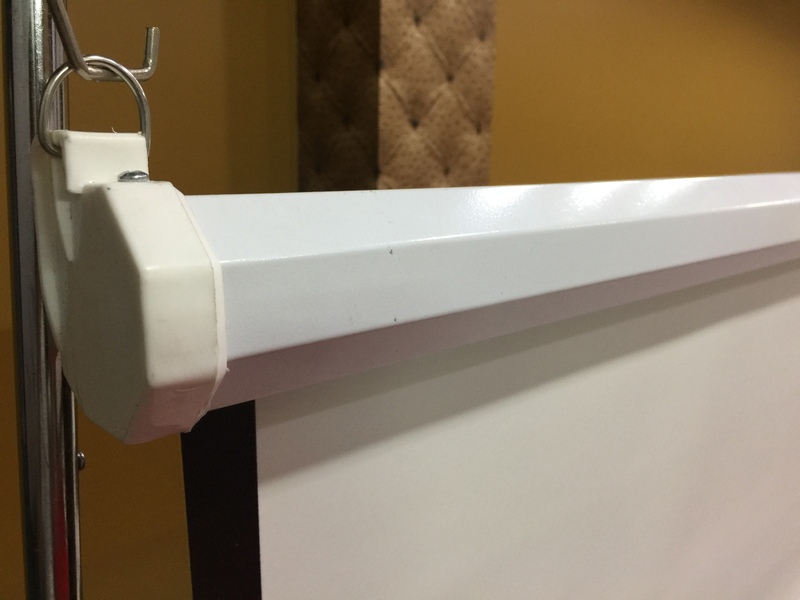 Manual self-lock screens are ideal for classroom where you don’t want to have electric connection and it is widely used by our customers in classrooms, training rooms, meeting rooms and also at home. Our screens are very much portable and we can also manufacture and supply Self-lock screens in various sizes, apart from what is mentioned above based on your specific requirements. If you have been looking for a good quality manual self lock screen then we would love to understand your requirements and we can guide you through. 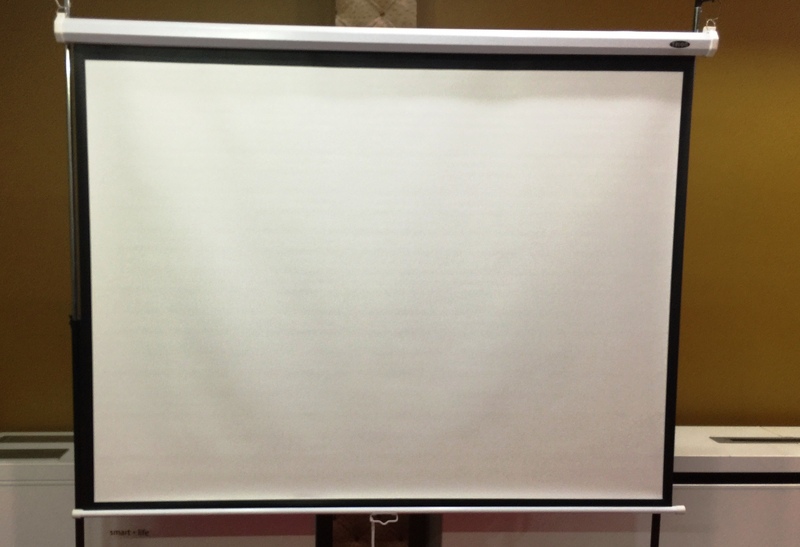 Feel free to talk to us regarding your specific requirements of manual self-lock projection screen.